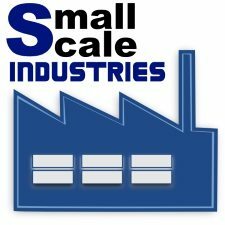 Small Scale Industries do not enjoy much of the advantages enjoyed by large scale enterprises because of their nature and size. Though they have made significant contribution to economic development, they have not realized their full potential. They face many problems in their functioning and many Small Scale Industries are sick. The government had reserved certain items for exclusive production by Small Scale Industries. Large scale enterprises were not allowed to produce the items which were reserved for the SSI sector. With the opening up of the economy and following the principles of liberalization and globalization, many items have been successively De-reserved. Therefore Small Scale Industries have to now counter the twin forces of competition from Indian large scale enterprises as well as foreign competitors. In many of the Small Scale Industries, the capacity utilization is not even 50% of the installed capacity. Nearly half of the machinery remains idle. Capital is unnecessarily locked up and idle machinery also occupies space and needs to be serviced resulting in increased costs. Many Small Scale Industries face the problem of scarcity of funds. They are not able to access the domestic capital market to raise resources. They are also not able to tap foreign markets by issuing ADR’s (American Depository Receipts) GDR’s (Global Depository Receipts) etc because of their small capital base. Banks and financial institutions require various procedures and formalities to be completed. Even after a long delay, the funds allocated are inadequate. Bank credit to the small scale sector as a percentage of total credit has been declining. It fell from 16% in 1999 to 12.5% in 2002. Small Scale Industries are not able to get funds immediately for their needs. They have to depend on private money lenders who charge high interest. Finance, as a whole, both long and short term, accounts for as large as 43% of the sector’s sickness. Raw materials are not available at the required quantity and quality. Since demand for raw materials is more than the supply, the prices of raw materials are quite high which pushes up the cost. Scarcity of raw materials results in idle capacity, low production, inability to meet demand and loss of customers. 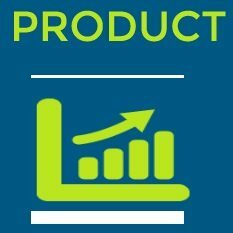 Small Scale Industries lack market knowledge with regard to competitors, consumer preferences, market trends. Since their production volume is small and cannot meet demand for large quantities their market is very restricted. Now with the process of liberalization and globalization they are facing competition from local industries as well as foreign competitors who sell better quality products at lower prices. For e.g. heavily subsidized but better quality imports from China has made most of the Indian SSI units producing toys, electronic goods, machine tools, chemicals, locks and paper etc., unviable. Many Small Scale Industries face the problem of inadequate working capital. Due to lack of market knowledge their production exceeds demand, and capital gets locked in unsold stock. They do not have enough funds to meet operational expenses and run the business. They lack knowledge about the export procedures, demand patterns, product preferences, international currency rates and foreign buyer behavior. Small Scale Industries are not able to penetrate foreign markets because of their poor quality and lack of cost competitiveness. In countries like Taiwan, Japan etc. products produced by Small Scale Industries are exported to many foreign countries. But in India not much thought and focus has gone into improving the export competitiveness of Small Scale Industries. Many Small Scale Industries still use primitive, outdated technology leading to poor quality and low productivity. They do not have adequate funds, skills or resources to engage in research and development to develop new technologies. Acquiring technology from other firms is costly. Therefore Small Scale Industries are left with no choice but to continue with their old techniques. One of the merits of Small Scale Industries are that they are labor intensive and can provide employment to a large number of people. But the multiplicity of labor laws, need to maintain several records (PF, ESI, Muster Rolls etc), fines and penalties for minor violations etc place Small Scale Industries at a great disadvantage. The government lays down strict environmental standards and Courts have ordered closure of polluting industries. Small Scale Industries which are already facing shortage of funds to carry out their business are not able to spend huge sums on erecting chimneys, setting up effluent treatment plants etc. Small Scale Industries buy raw materials on cash but due to the intense competition have to sell their products on credit. Buying on cash and selling on credit itself places a great strain on finances. The greater problem is payments are delayed, sometimes even by 6 months to one year. It is not only the private sector but even government departments are equally guilty. Delayed payments severely impact the survival of many Small Scale Industries. 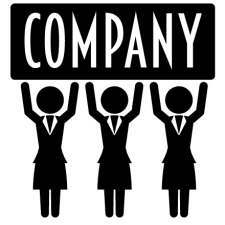 Many Small Scale Industries are not able to match the pay and benefits offered by large enterprises, because their revenues and profitability are low and also uncertain. This leads to labor problems. Employees fight for higher wages and benefits which the SSI is not able to provide. This may lead to strikes, resulting in damage to property in case of violence by employees, production losses etc. Marketing of products manufactured by Small Scale Industries is a problem area. The government has to provide high subsidies to promote sales of products produced by Khadi and Village Industries. This places a great strain on government finances. There is high concentration of small scale industrial units in a few states. Of the estimated 3.37 million units as on 2000-01, nearly 60% were located in six states. West Bengal, Madhya Pradesh and Uttar Pradesh alone account for 20% of Small Scale Industries. Due to concentration, there is high competition among them to procure raw materials and other industrial inputs. This leads to high costs and scarcity of raw materials and other inputs affecting their production and increasing costs. One of the objectives of the government in promoting Small Scale Industries was to increase industrial development and employment opportunities throughout the country. Since nearly 60% of the Small Scale Industries are concentrated in few states, the objective of balanced regional development and promotion of backward areas has not been achieved. Further majority of Small Scale Industries are located in urban areas and the aim of industrial development in rural areas has also been defeated. Sickness among Small Scale Industries is widespread. Sickness is not detected in the initial stages and large amount of funds are locked in them. Nearly two and a half lakh SSI units are sick and as on 2001 and nearly Rs.five thousand five hundred crores of bank funds are locked in them. Due to this new entrepreneurs are not able to get loans, workers in the sick units lose their jobs and industrial and economic development is affected. In Maharashtra alone nearly 3 lakh units have closed down, 38 lakh workers have lost their jobs and the loss to the government is Rs.5,000 crore. The government has set up many organizations to support and provide assistance to Small Scale Industries. But, many of the entrepreneurs running Small Scale Industries are not aware of the various support services. 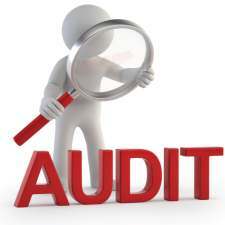 Small Scale Industries have to maintain a number of records and there are endless government inspections. 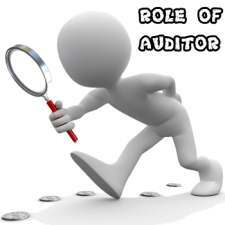 A lot of time, money and effort is wasted in complying with various inspections and records verification. This prevents Small Scale Industries from fully concentrating on their business activities. 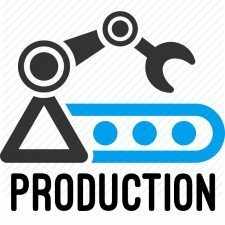 What are Large Scale Production? What are its motives?